Boeing alone accounted for 40 percent of total handouts made by the Ex-Im Bank in 2014. The Export-Import Bank, also known as “Boeing’s Bank,” is an independent government agency that subsidizes American and foreign companies. The Ex-Im Bank perpetuates cronyism and distorts the marketplace. Two wrongs, however, don’t make a right, and as wrong as Bombardier is for accepting government-subsidized loans and investments, Boeing is, very clearly, no stranger to a corporate welfare handout. The government’s ability to grant a comparative advantage to the highest bidder creates an anti-competitive atmosphere, and now that Boeing is on the wrong end of the deal they are whining about it and seeking protection from the Department of Commerce and the U.S. International Trade Commission. Boeing has arguably benefited more from corporate welfare nationally and internationally than Bombardier ever will. As long as the Ex-Im Bank is backed by taxpayer dollars, when assessing loan risks, the small businesses competing in the private sector without handouts will continually be disadvantaged. Boeing’s use of subsidies don’t end with Ex-Im. The World Trade Organization (WTO) ruled that the aircraft manufacturer received $5.7 billion in illegal, distortionary tax breaks. In March 2015, the Washington Post reported that Boeing “has received $13 billion in subsidies” from state and local governments. Boeing’s accusations are reflective of it’s own practices. Bombardier is doing nothing more than stealing a play out of the Boeing playbook, using the power of corporate welfare to manipulate the market in its favor. The hypocrisy brought about by Boeing is discernable. There is also another point here. Bombardier is selling its C Series aircraft -- in this case, the CS100, which seats up to 110 -- to Delta Air Lines. 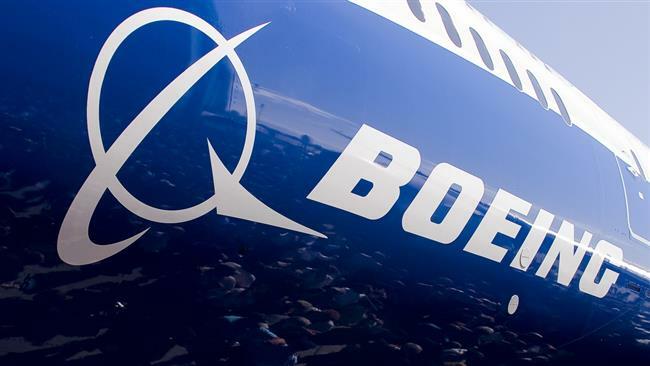 Boeing has not made a comparable plane in more than ten years, effectively making the airline manufacturer uncompetitive in this particular instance. “At no time did Boeing even try to convince us to consider the 737 and 700. It would be wrong to suggest that Boeing lost sales to Delta because we purchased the CS100. Boeing simply was not in the mix. They did not have a plane that satisfied our mission profile and needs,” May added. In theory, Boeing doesn’t have a leg to stand on, and its complaints are hypocritical, to say the least. Moreover, free trade isn’t at fault, and the free exchange of goods and services brings about the best products for Americans at the lowest cost. With the transformative nature of the aerospace industry, free trade, innovation, and competition is vital for the industry and the consumer. Allowing companies to compete in the marketplace naturally drives innovation. Boeing should remove the beam from its own eye before trying to remove the splinter from Bombardier’s.